Monitor health with Ambio Health! 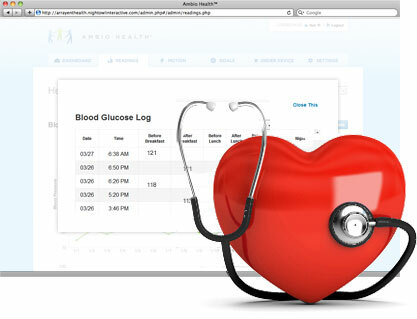 Ambio Health is a solution for monitoring health and a tool to help you get healthier. Here’s how it works. 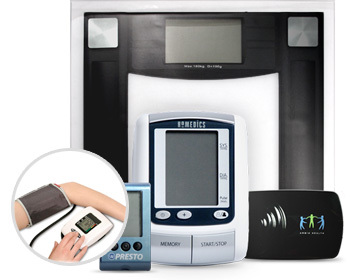 Ambio Health enables you to take readings using compatible branded blood pressure meters, glucose meters and scales anywhere in your house. 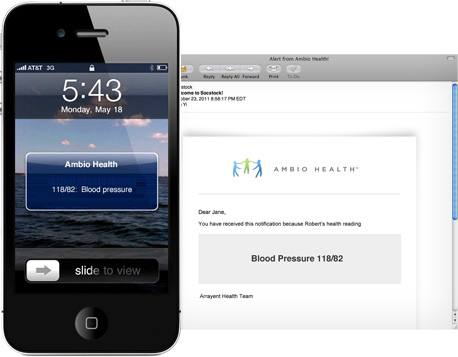 Using Ambio wireless connectors, readings are automatically sent to the Ambio Care Portal. By logging into the Ambio Health portal, you can monitor your overall status and compare your readings to pre-established thresholds. 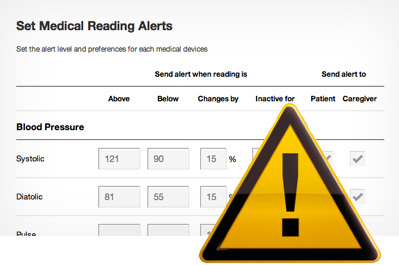 A log of all readings is available to monitor your progress and can be printed or emailed to your care providers. You can pre-set customized alert levels for all your meters. When a reading goes beyond those thresholds, it will trigger a notification. You can choose how and who you want to get notified. Set your notification preferences: either via email, telephone or text message.